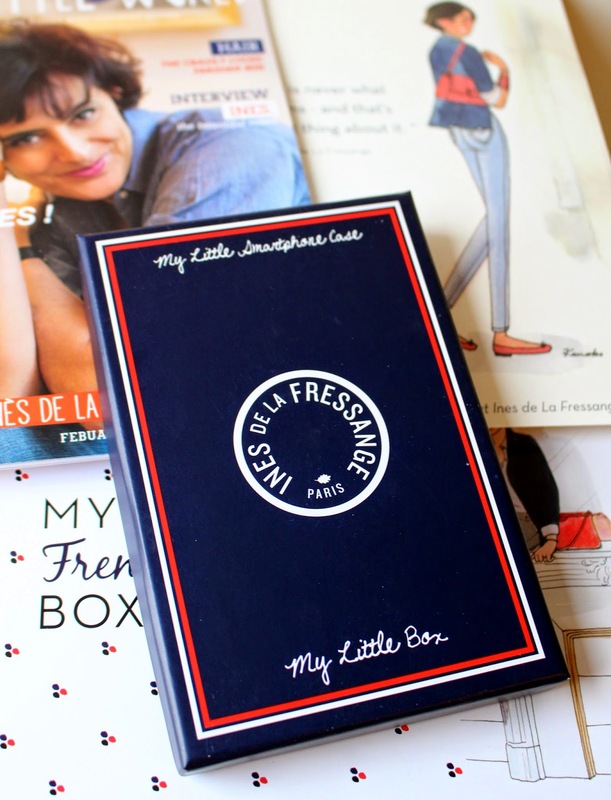 My Little Box subscribers in February received a collaboration box with a French model, the face of Chanel in the 80s, Queen of Paris - Ines de La Fressange. What does it mean to be a Parisian woman? 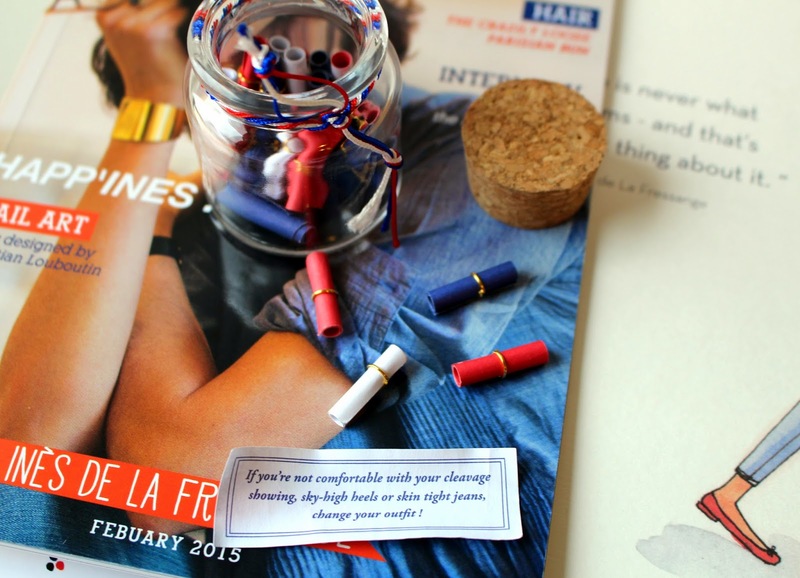 I read an interview with Ines in My Little World magazine to try to understand the 'Frenchie' theme a little more. After reading the interview, it all makes sense to me how she became (and still is) a French fashion icon. Ines was different from all the other women modelling in the 1970's - she was outspoken and independent at a time when models were pictured as walking coat hangers and paid to frown. She did and still does whatever she likes, breaking the rules and refusing to dress like a girly girl. Her own brand, launched in 1991, became a style reference - blazer, trench coat, navy jumper and ballet flats are all part of the Parisian style. 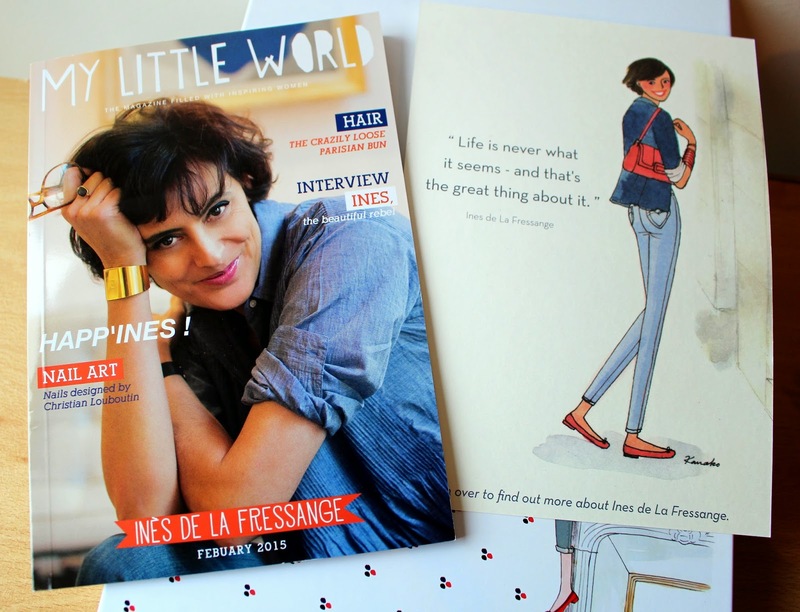 My Little World Magazine is packed with interviews, recipes, fashion and beauty tips. I find the magazine quite nice and easy to read, full of different ideas and interesting information. As always, I love the greeting card illustrated by Kanako. 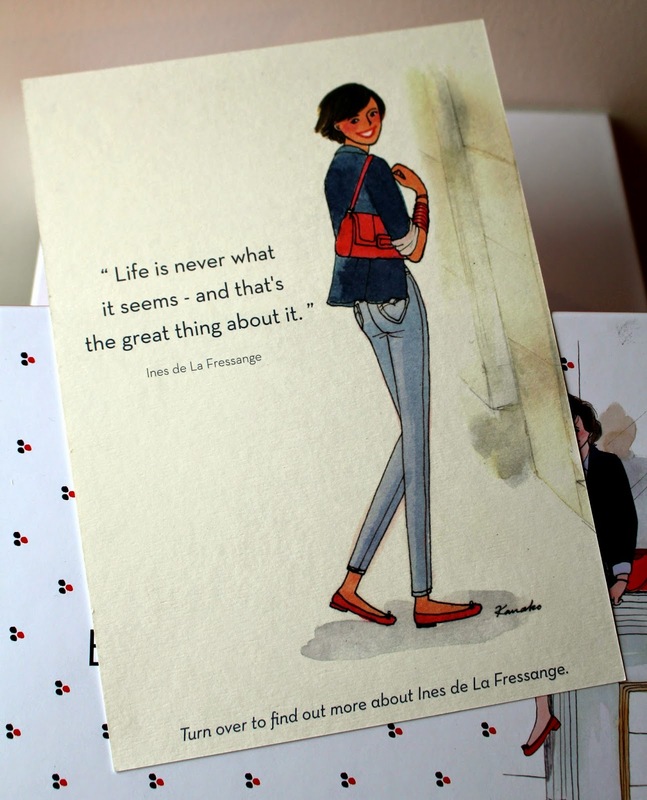 I have a growing collection of cards which I'm planning to keep as they are so nice to display on my dressing table. 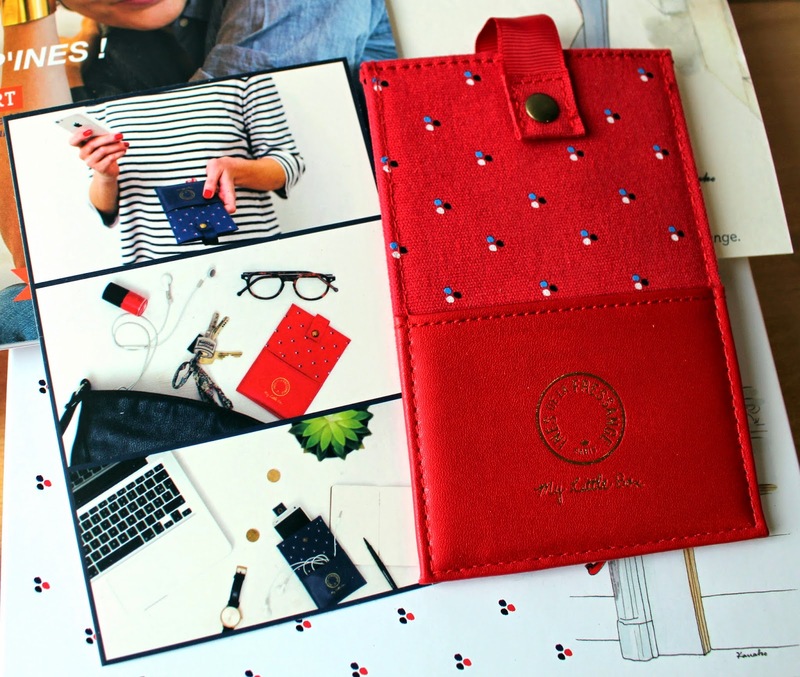 The My Little Box team have created this smartphone case (RRP £16) in collaboration with Ines. 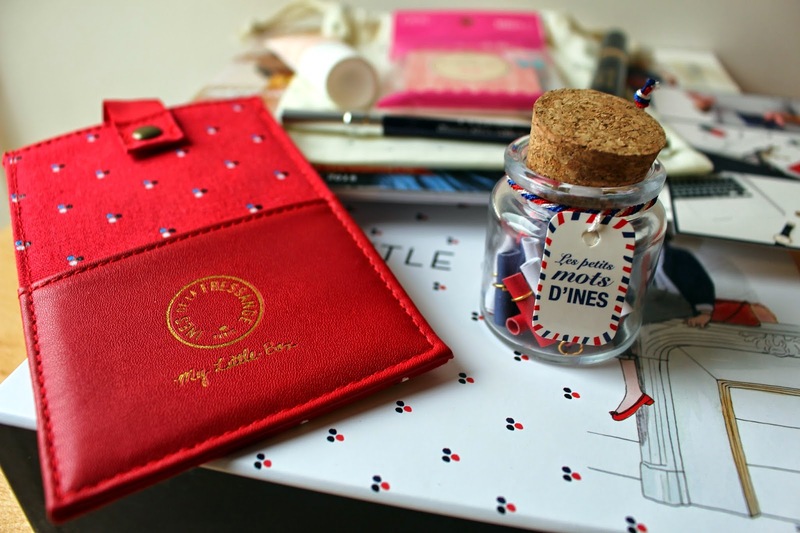 The result is a classy mini pouch where you can safely keep all of your cards, tickets and of course your phone. I got mine in red; it looks elegant and high quality - I am very pleased with it. I think I might give it away to my mum as I already have a beautiful pinkish iPhone case Tristan got me for Christmas. 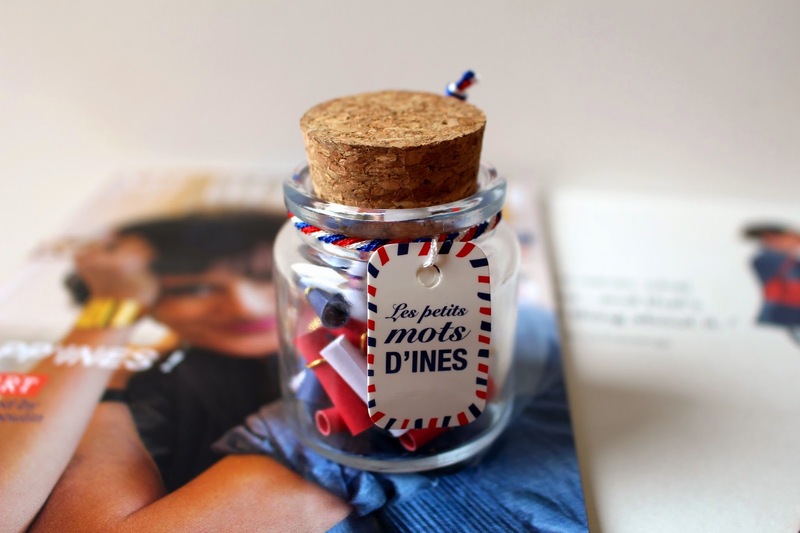 This beautiful little Pot of Messages is hiding 28 special messages quoted by Ines. 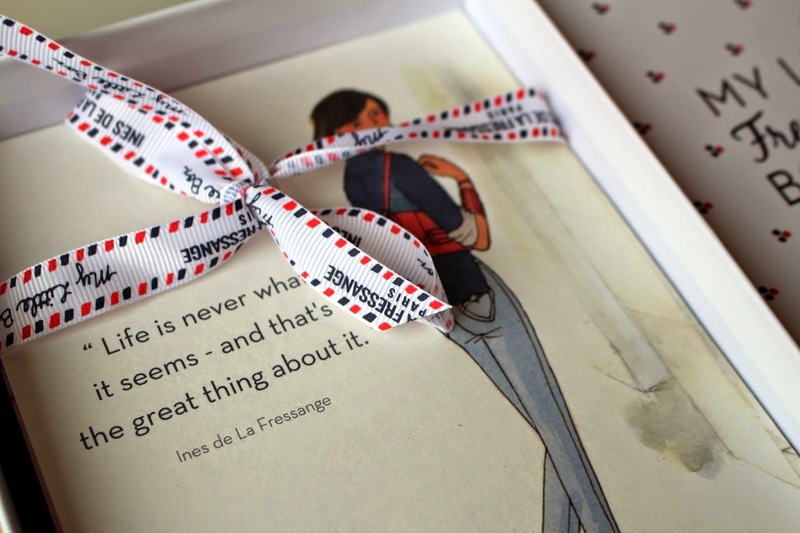 The tiny scrolled messages will brighten up your day and give you little tips to follow in the fashion world. 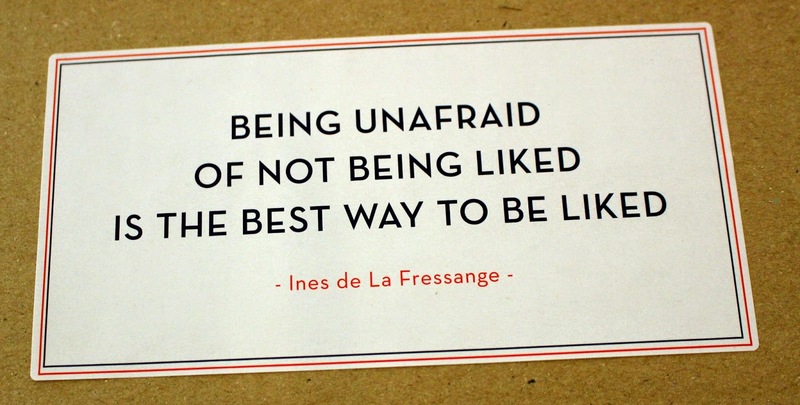 I really like this idea and I am looking forward to getting some advice and inspiration from the Queen of Style. It doesn't matter whether you're fair or dark skinned, crazy for make up or a little shy, this complexion enhancer will bring your skin back to life. Enriched with an antioxidant rich edelweiss flower and nourishing apricot oil - everything you need for glowing skin. This will be an essential make up bag product in every season and it leaves your skin soft and smooth. With lightweight and delicate texture and protecting properties, this brightener can be used as a highlighter on cheeks or mixed in with a foundation. This 100% natural oil-absorbing paper made in Japan will help mattify your complexion, keeping a shiny face under control. As I have quite oily skin, this product is going to live in my handbag or anywhere I can reach it immediately. I fell in love with this product first time I used it. This L'Oreal brow shaping gel mascara will add volume and colour and is super easy to use. This wonder product will do the job of your pencil, powder and brush in one easy step without colouring your skin. It's not sticky, shiny or heavy on your brows and gives your face a groomed intense frame. It has a small mascara brush and comes in three shades. Mine is a clear gel and I am looking forward to using it. This full sized, beautifully packed high end eye pencil from By Terry is super soft and long-lasting! This ultimate high-precision waterproof eye pencil creates a look that is either 'demure' or 'very shimmery' but always stunning! I love creamy textures and it looks amazing just as a line alone or smudged with a little extra glitter. I am actually really happy that My Little Box decided to be different and not follow the typical Valentine's Day theme for February. 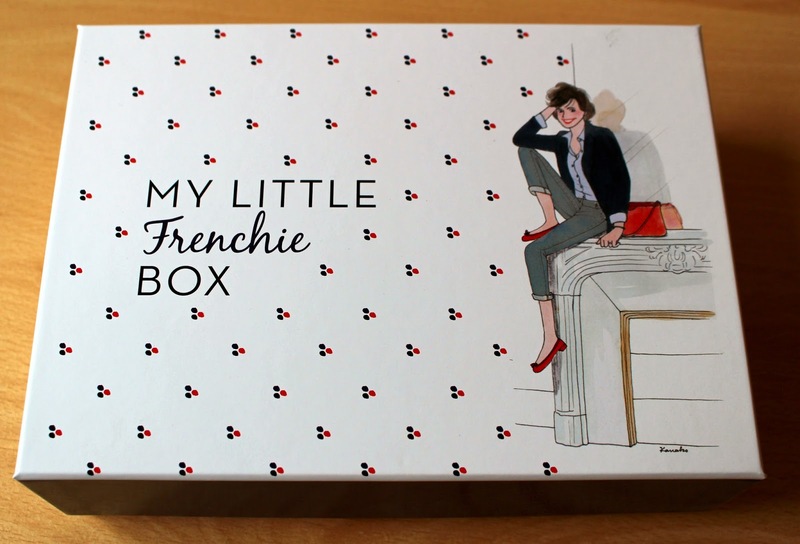 I am also very pleased with the box and its contents - My Little Box is still at the top of my list and I continue to look forward to recieving it every month. Your pix are stunning! This is the only box I've ever been tempted to subscribe to, it's so pretty. what an amazing box! great products...and I really like that illustration! 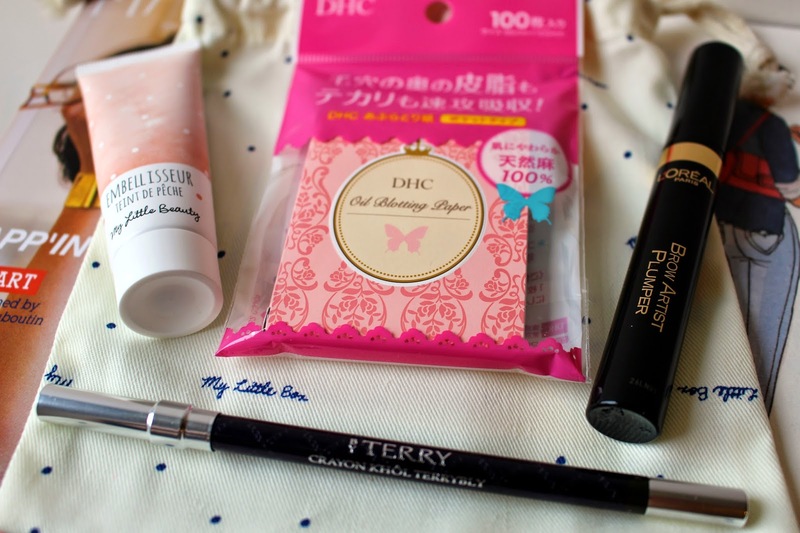 Nice products! Also your pictures are on point! 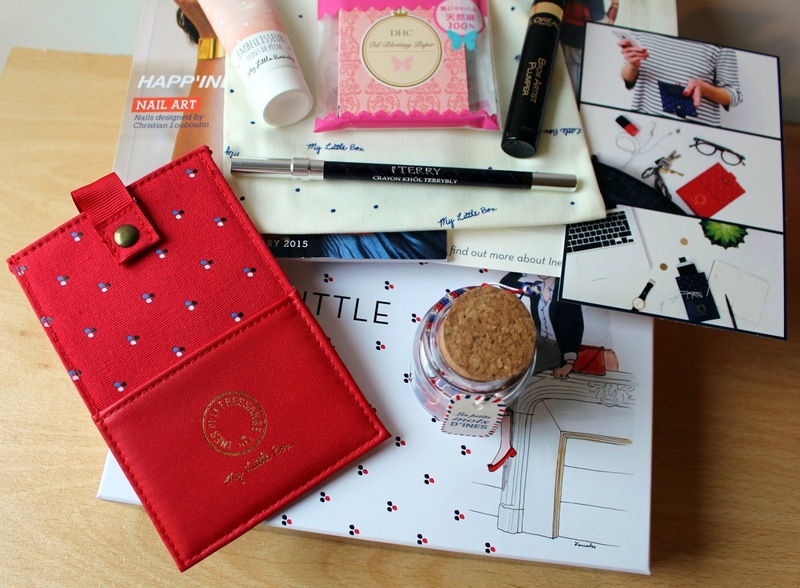 Very cute , pretty things!